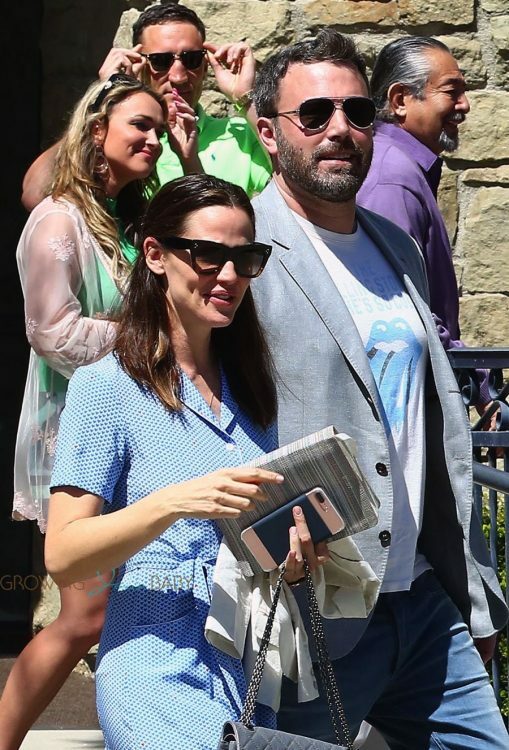 Despite announcing they were going to divorce, Ben Affleck and Jennifer Garner were photographed attending Easter Service together at their local church. Ben dropped Jen and the kids off in front before parking the car and heading in through the side door to join them. After 3 weeks of wearing his Patriots shirt, the actor switched it up for a vintage Stones tee and grey blazer. Jen was pretty in a blue Spring dress with hearts on it. Following rumors of a possible reconciliation, the couple announced this week they would be divorcing. 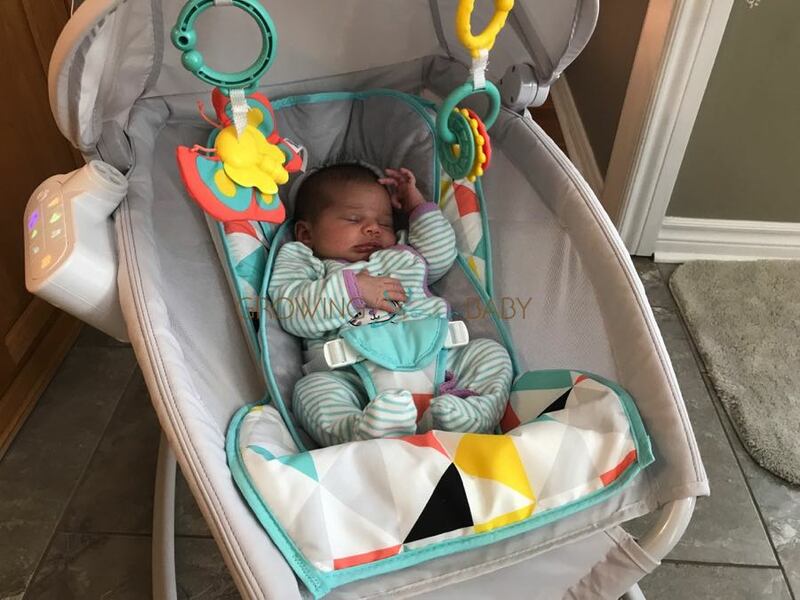 According to People.com the couple filed the documents together and are both seeking joint legal and physical custody of their three kids. 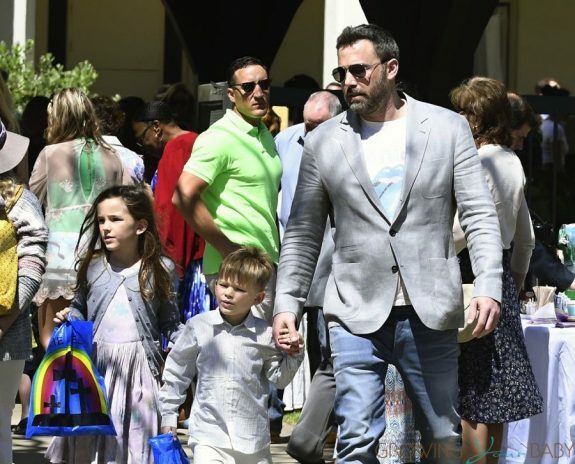 Since announcing their separation almost two years ago, Ben and Jen have continued to live together with Ben in a guest house on the couple’s property. 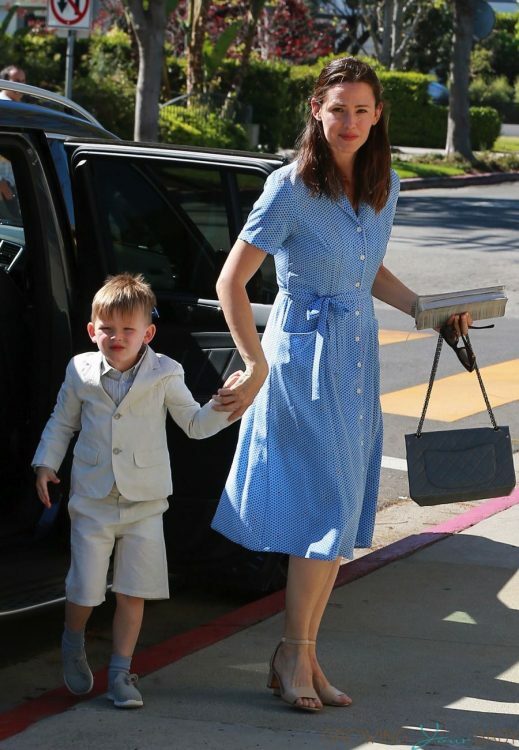 Gwen Stefani Arrives At Easter Service With Her Stylish Crew!